Quick Reflection... 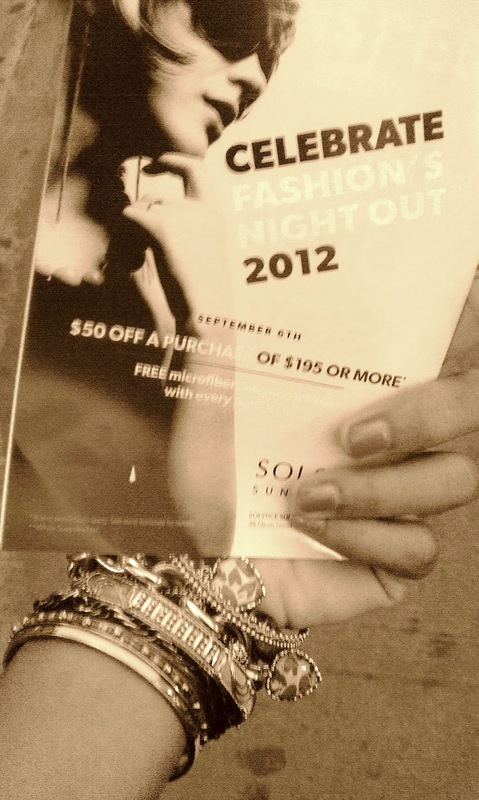 I've been going to Fashion's Night Out for the past three years; this year was bananas! I had a great time. I got to jam at DVF, attend a block party near Scoop NYC, witness Alice + Olivia models pillow fight on the rooftop at STK, spy on QVC's live broadcasting, sip cocktails at Tracy Reese and Rebecca Taylor, nod my head to reggae at Sephora while a woman from Scotland groomed my brows ... and much, much more! All events were super fun, and star-studded.